Through St Nicholas you have access to a wide range of community and support groups. 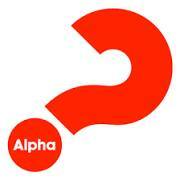 This year we will again be running the popular Alpha course. The Alpha course gives people an opportunity to explore the basics of the Christian faith in a friendly and relaxed atmosphere. Many people have previously appreciated the time to explore the meaning of life and journey with other people making new friends along the way. There is no cost; all we ask is that you register before hand as there are limited spaces available. In 2017 we gave out 57 moses baskets in Dersingham and the Community of North West Norfolk. We have continued to receive support from local knitting groups, schools, churches, etc as well as from the general public. We really felt God saying to us that a lot of the families we serve have absolutely nothing, so to receive a brand-new basket with a lot of brand-new items in is such a special gift. His provision in making it all happen is a very real reflection of His love for his people. We have expanded our team and we are all looking forward to serving any mum/family in need in 2018 via the amazing professionals that we work alongside. Mothers’ Union is an international Christian charity that seeks to support families worldwide. Its members are not all mothers or even all women, as there are many parents, men, widows, singles and grandparents involved in its work. 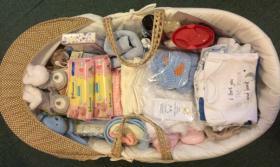 Its main aim is to support marriage and family life, especially through times of adversity. With a worldwide membership of over 4 million, the Mothers’ Union is the largest lay ministry in the world. Here in Dersingham the Mothers’ Union has been working in the background at various occasions during the year, helping with the Service of Remembrance and Thanksgiving Service and other occasions. We present to each Baptised person a prayer book at their Christening Service in Church. We currently have 23 members but we are always happy to have visitors at our meetings which are held on the second Wednesday of the month at 2pm in Church or as noted in the previous weeks Notice Sheet and Church Magazine. There is no obligation to join although we are always happy to have new members, but just come along and enjoy the company, listen to our speakers and have a cup of tea and a chat afterwards. The Men’s Group provide a monthly social meeting venue for gentlemen in the village of Dersingham and the surrounding area, to hear and engage in discussion with visiting speakers. The annual membership is £25.00. We are looking to increase our numbers and invite both Ladies and Gentlemen to come to our meetings which are held on the second Wednesday of each month. The programme for this year is available from members of the Committee. Members of the Committee are: Chairman Edgar Cooper, Tel: 01485 540865, Secretary Erich Dreibholz, Treasurer Gerald Bell, John Handley, Rob Churchill.